The Chicago State’s Attorney who tried to convince the FBI to take over the investigation into the Jussie Smollett attack at his family’s request has come under fire from police for interfering in the probe and texting with Smollett’s relatives about it. The union which represents the police in Chicago is calling for State’s Attorney Kim Foxx to face investigation from the Attorney General for her handling of the investigation. Among their concerns are text messages exchanged between Foxx and Smollett’s relatives. One, written by Smollett’s relative after Foxx told them she was trying to convince the police to hand over the probe, is of particular worry. Smollett’s relative, who was not identified when the texts became public earlier this month via a records arrest, replied: ‘OMG this would be a huge victory’ when Foxx said she was ‘trying’ to get it handed over . In its letter to the Attorney General which was obtained by CWB, the union asks who she was working for and why it would have been a ‘victory’. ‘Victory of what? For whom? Why?’ the union’s president, Kevin Graham, asked. The union says her recusing herself from the probe once Smollett was charged was not enough. Their concern is whose interests she was working in when she, after being contacted by former Michelle Obama aide Tina Tchen, tried to steer the probe in the direction that the Smollett family wanted. On January 29, Smollett claimed he was attacked outside his apartment in Chicago by two men who called him racist and homophobic slurs then fled. He claimed in his first report that he did not know what they looked like. In his second, he said one was white. The incident soon became public, Smollett won an outpouring of sympathy and the Chicago Police Department said it was working vigorously to find who attacked him. But behind the scenes, his family had enlisted lawyer Tina Tchen. They were ‘concerned’ about details of the incident and Smollett’s reports to investigators being leaked and said that they wanted the FBI to handle the case. 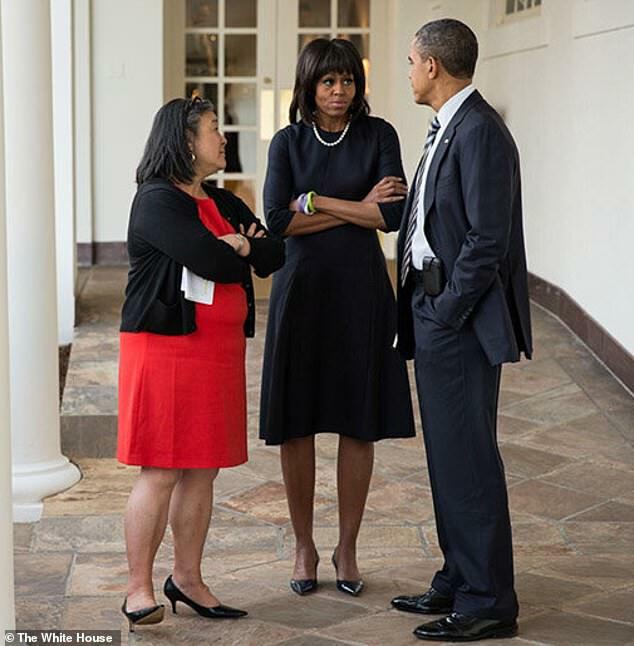 Tchen, who serves as Michelle Obama’s Chief of Staff, contacted Foxx. ‘I wanted to give you a call on behalf of Jussie Smollett and family who I know. They have concerns about the investigation,’ she said in her first text which was obtained by The Chicago Sun Tribune. Hours later, Foxx received a text from one of Smollett’s relatives. Over the course of the next two weeks, she tried to have the case handed over to the FBI. ‘Spoke to the superintendent earlier. He is going to make the ask. Trying to figure out logistics. I’ll keep you posted,’ she said in a February 13 text. By then, there had been questions surrounding Smollett’s cooperation with the investigation but Smollett was, officially, still being treated as a victim. The police department claims that Smollett only became a suspect after brothers Abel and Ola Osudairo were pinned down at the airport on February 20. However, Foxx recused herself from the probe a week earlier, after her text conversation with his relative and with Tchen. In an email to top staff, her chief ethics officer informed them of her recusal however it was not announced until February 19. 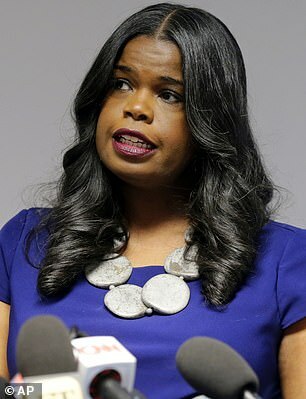 On February 20, Foxx’s office told DailyMail.com that she had stepped down because of her interaction with Smollett’s relatives, but they would not give further information. Smollett was arrested on February 21. The investigation was turned over to First Assistant Joseph Magats and his staff. 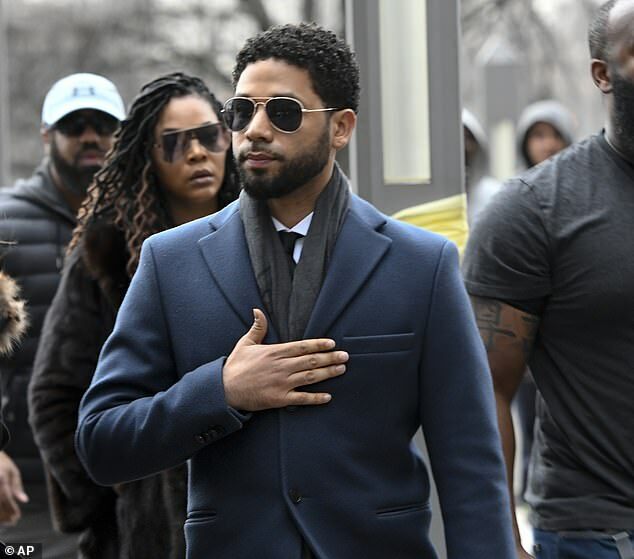 In their first dealings in court, prosecutors took the unusual step of publishing the entire bond proffer for Smollett which laid bare their case, setting out much of the state’s evidence against him. Smollett’s attorneys have since claimed that his presumption of innocence has been ‘trampled on’ by the prosecutor’s office.